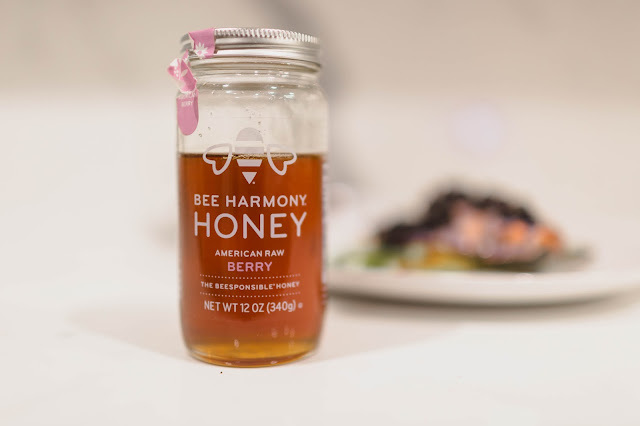 Bee Harmony - Honey, you need this in your pantry. Y'ALL this honey! I was sent a sample of this new honey to try, and I am blown away. Our family are honey addicts. I swear my kid has a sore throat for weeks just to get that spoon full of honey every morning. Since cutting out all sugar when I participated in Whole 30, I've adapted a more Paleo friendly lifestyle. So I actually use honey quite a bit now as one of the main sources of sweeteners. I even add it to my coffee when I want a little boost of sweet. I was intrigued by the "Berry" flavor. What is awesome about this is the flavoring is 100% natural, as in they don't actually add any berry flavoring to the honey. The berry flavor comes from the berries and flowers the bees pollinate in the area. Think of it like wine - there are only grapes in wine, yet you get tons and tons of flavors. Same thing with the honey. 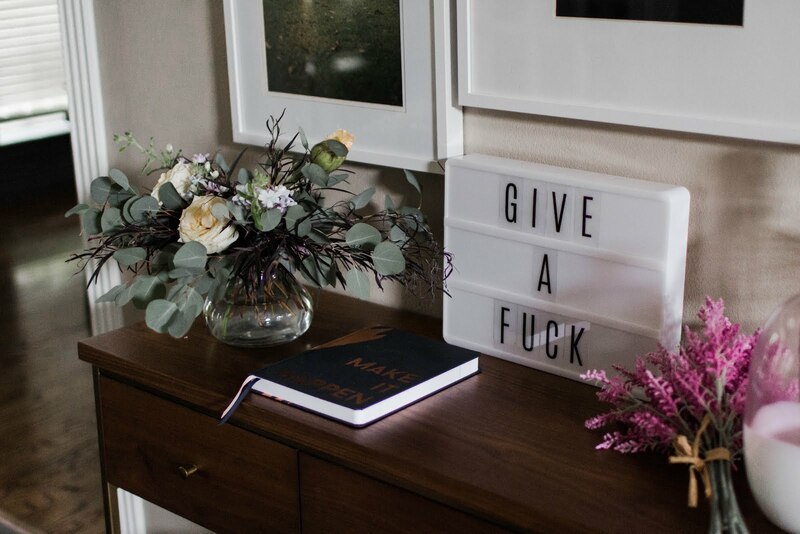 You can taste the flowers, and they are GOOD. 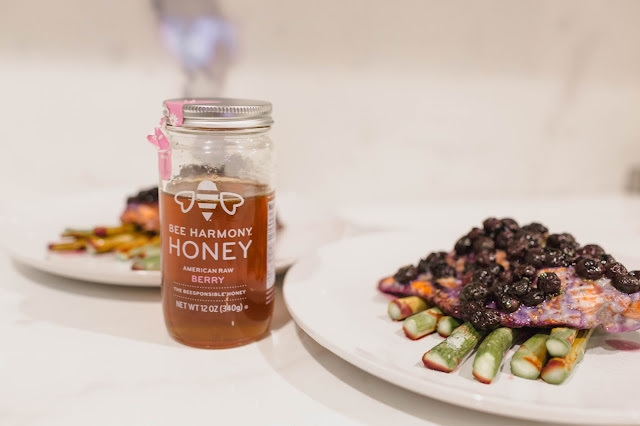 Not only is the honey appetizing to my tastebuds, Bee Harmony is actively working on saving the lives of bees and helping educate people on the threats bees face! They are getting communities involved by educating about how to live a more "beesponsible" lifestyle. Next on my list of honey to get from them is the orange blossom! If you check out Bee Harmony's website, you can see all sorts of honey they have to offer (they even have local honey and far away honey and just all things awesome and honey). 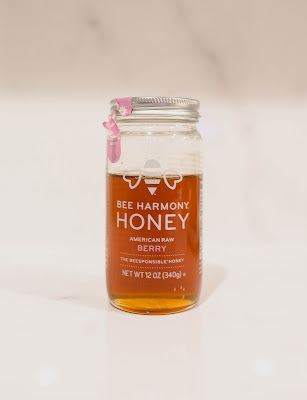 Also, if you are an amazon-aholic like I am, you can also purchase honey there, and BONUS it's prime eligible (check them out here). 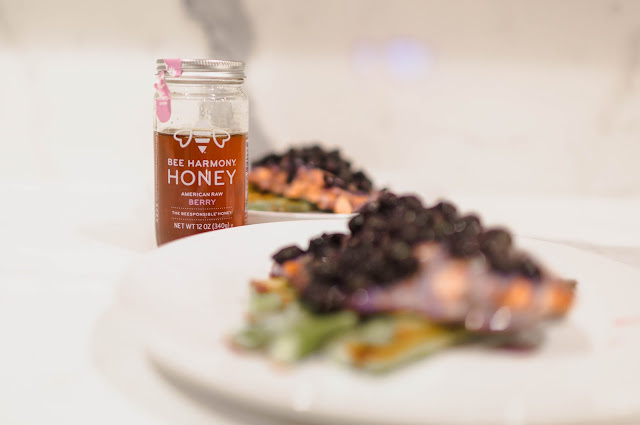 You can do the basic honey recipes or easy stuff like putting it on toast or dessert. I thought it would taste great on salmon with a blueberry spread! Check out the recipe below. Preheat oven to 400F degrees. Place salmon on baking dish prepared with parchment paper, season with salt and pepper (also add the veggies of your choice to bake). Place blueberries in a medium sized mixing bowl. Mash blueberries until a bit juicy and add oil, Bee Harmony Honey and basil. Mix well and spoon on top the the salmon. Squeeze fresh lemon over top salmon and veggies and keep lemons on baking sheet. Bake for 15 minutes and broil for 1-2 to get the veggies nice and crisp! Super easy dinner with no fuss and no processed sugar.